Today, Taylor and Drew are discussing The Manhattan Projects 16, originally released November 13th, 2013. 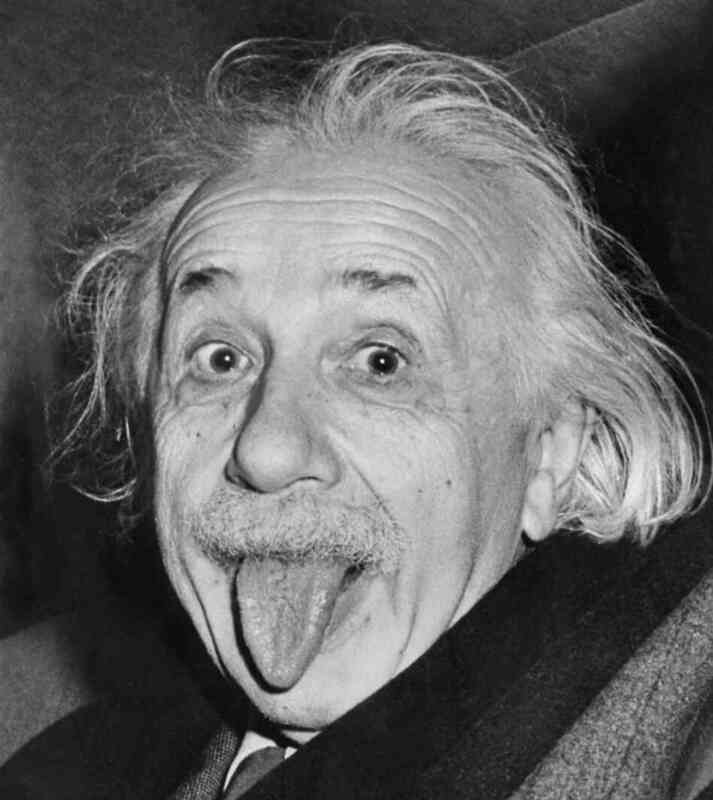 Taylor: You know that one picture of Einstein, the one where he’s looking at the camera and playfully sticking his tongue out at the camera? Of course you do — of all the hundreds of pictures of Einstein that exist, that particular portrait sticks out in our collective consciousness. There are probably several reasons for that, but perhaps one of the most powerful is that the picture portrays the author of the general theory of relativity in the way we would like to think he existed. With his frizzy white hair and iconic mustache, Einstein cuts a figure that is both endearing and intelligent. We like to think of Einstein, the grand scientist, as having a playful and childlike streak because it makes him lovable and human, rather than untouchable and superhuman. In this way, we all liken ourselves to Einstein. If that zany dude can revolutionize the world, why not me? However, this disregards the real Einstein, who was often angry and frustrated with himself and the science he devoted his life to. But which of these pictures of Einstein is more accurate and, more importantly, does it matter? Today, Drew and Patrick are discussing Manhattan Projects 13, originally released August 7th, 2013. Today, Drew and Patrick are discussing Manhattan Projects 12, originally released June 12th, 2013. Oh my God. Oh my God! Oh my God! The whole time? The whole time, you were – THE WHOLE TIME?! Today, Patrick and Drew are discussing Manhattan Projects 11, originally released April 24th, 2013.